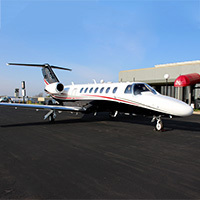 As the largest charter operator in the Kansas City metropolitan region, there is a reason why the bulk of KCAC Aviation’s charter trips are completed by repeat customers who have grown accustomed to the personalized and professional service provided by KCAC’s flight crews and dispatch teams. Great service and flexible options means customers can be confident in matching the right aircraft for their travel needs. Determining which aircraft best fits the needs for your trip can be broken down into 3 categories – cabin size, speed and range. The more people you plan to take obviously drives the number of seats required. But you also have choices in cabin width and ceiling height as well. Also consider how far you need to go and how fast you need to get there. On shorter flights, faster isn’t necessarily the most economical option. The charter coordinators at KCAC work with you to determine the best aircraft for your mission, passenger load, distance and destination. KCAC’s fleet of aircraft are all-weather equipped and can provide wi-fi access on the go. 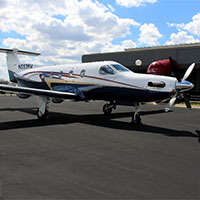 Typical charter aircraft offered by KCAC are included below, with aircraft options available, such as long-range business jets, to best suit one’s travel needs. KCAC’s dispatch team has over 75 years of combined experience serving KCAC alone – not including years spent outside the organization honing their aviation skills and expertise. Customers know that the flight crews for KCAC provide the highest level of professional service available. Between annual aircraft re-current training and rigorous hours of simulator training twice a year, to the personalized level of attention provided throughout the duration of a trip, KCAC’s team of pilots genuinely care about ensuring that their passengers’ travel experience exceeds their expectations. Charter customers also find peace of mind in understanding the charter fleet is meticulously maintained by KCAC’s own factory-trained technicians. Not only to comply with the guidelines of KCAC’s Part 135 Charter Certificate and maintain KCAC’s ARGUS Gold rating, but to adhere to the high standards that KCAC strives in delivering the best service possible. There are many advantages to chartering an aircraft. 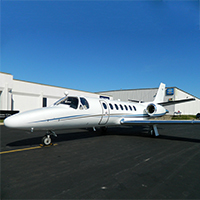 Whether its cabin size, speed or range, the helpful charter coordinators at KCAC will help you figure out what best criteria to use to match the right aircraft for your trip. To find out more, contact the Charter team at KCAC Aviation today at 913-782-0530.